The iPad is beautiful, no doubt about it, but once you’ve handled it for a while you might notice the screen gets dirty rather quickly. The worst thing about the iPad is that it shows up fingerprints and smudges so easily, this is despite the fact that the screen has an anti-oil coating on it. Can I clean the iPad screen with Windex? No, for the love of Apple please do NOT use Windex or window cleaners! This includes rubbing alcohol, nail polish remover, and the like. The chemicals in window cleaners and these products can damage the oleophobic screen coating and actually make the iPad screen less responsive to touch over time. Not worth it, do not use chemical cleaners! 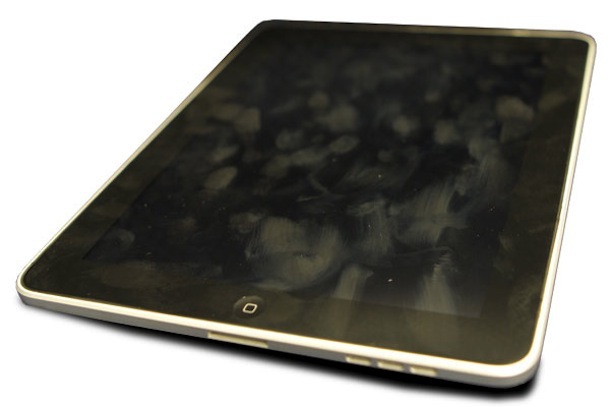 What can prevent the iPad screen from showing fingerprints and getting dirty? Your best bet to keeping the iPad screen clean is to just wipe it down frequently with a soft cloth. If you get annoyed with the fingerprints though, you can use a screen protector product like the invisibleSHIELD which doubles both as a way to protect the screen from scratches and also reduces the appearance of fingerprints. There are also anti-glare iPad screen protectors available if both the glare and the fingerprints bother you. Why in the world would it make the screen less responsive?! Alcohol cannot damage the glass itself nor the touchscreen underneath. Please explain your reasoning and give evidence to such statements, lest you want to be spreading BS rumours. You are free to use whatever you want on your screen, but I would not recommend straying from Apple’s guidelines if you wish to maintain your screens usability and the devices warranty. It’s true – you’ll want to stick with a professional product and cloth like fountonium (http://fountonium.com) to make sure the oleophobic coating stays intact.